AM Services Group’s positive reputation has always been built on the strong values that underpin the way we behave towards our own staff, our customers and our business partners. We’re proud of the work we do, and equally proud of the clients we work with. We want to do the very best we can for you to give you time to focus on your key business and to help you succeed in keeping your staff, customers and visitors as happy as possible. So, if you chose to work with us, we can promise that you will always be the star of the show. Our staff work hard to build trusted partnerships and long-term relationships with our clients. And it works. We’ve got some of the highest customer and staff retention rates in our industry. You and your organisation are important to us. We’ll make sure that we communicate efficiently and effectively with you, right through from director level to the staff working with you on the ground. And we will always be prepared to listen. The work that some of our customers do across the sectors may look similar on the surface. But our experience tells us that every situation is different. Every client’s business has its own unique requirements. So we’ll always work hard to find a tailor-made service solution to fit your individual needs.  We’ll always take the safety of your site, your people and our staff extremely seriously at all times. Our safety record is exemplary and we look to not only meet but exceed every relevant test, assessment and industry standard. And, we’ll always be open, transparent and honest. As with any service things don’t always go perfectly. But, if there’s a problem, we’ll identify and deal with it as soon as possible, working with you to put things right. You’ll get one point of contact, one invoice, real-time reporting, and we never cut corners or pass the buck.